I am a fan of galactic print leggings and guess what ? Romwe offered me the chance to host a quick and nice giveaway to give 3 followers of Fashion and Cookies the chance to win a pair of starry leggings each !. This flash giveaway is open WORLDWIDE is starting today for one week only, up until January 25th !. To enter this galactic leggings giveaway you have to follow the simple rules you find below and fill the Rafflecopter form, as ever !. Three winners will be selected randomly with Rafflecopter, then the name and contacts will be given to Romwe and announced on the blog. 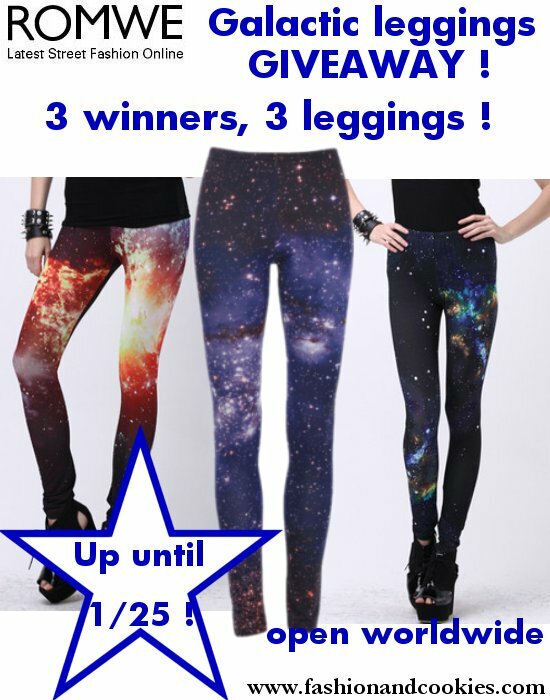 The 3 winners will receive their galactic leggings at home !. have followed you! take care and have a nice day ahead! Oh my goodness how fun!!! I already follow you via GFC, and I'm going to go enter in the other ways too! Best of luck every one! 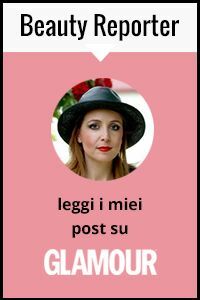 I like Fashion and Cookies on facebook also!